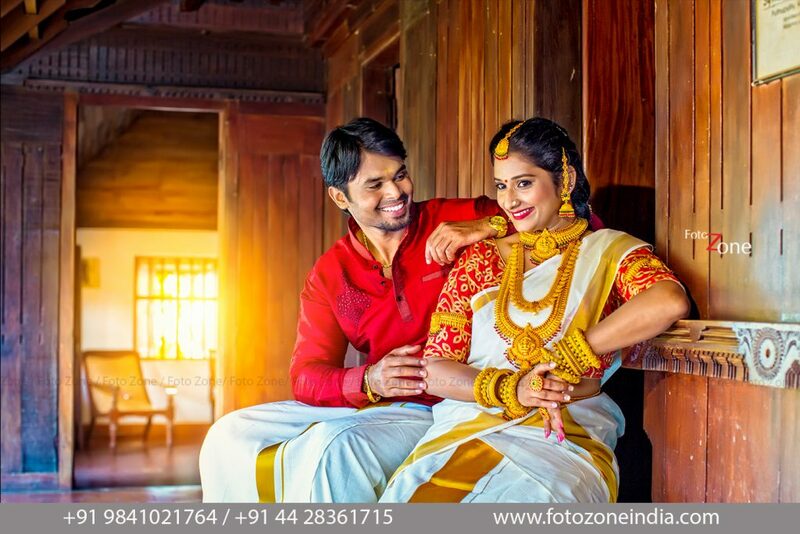 Foto Zone Pre-Wedding candid photoshoot services had a unique opportunity of shooting candid photography for a fun couple, Divya and Vivek who planned their shoot in three regional costumes and three locations suitably. 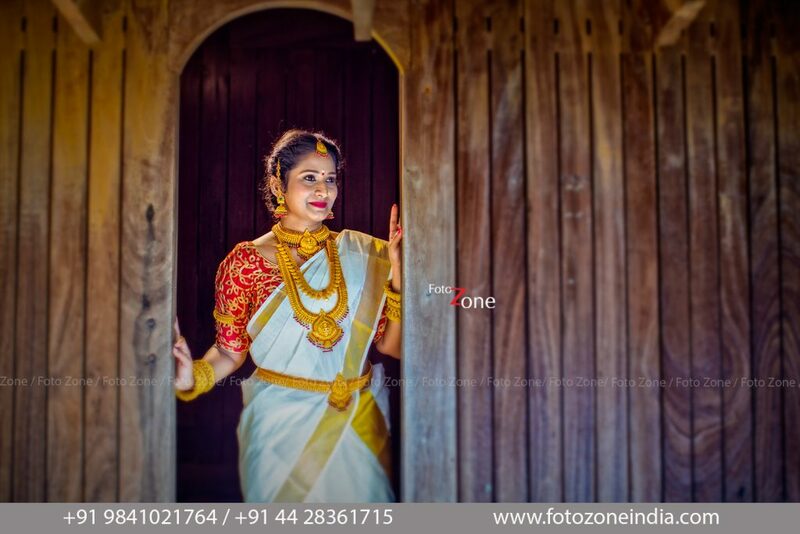 We started with a Kerala-themed setting where Divya and Vivek were dressed in a white-gold-red colour scheme and the location was set on a boat house. With maximum natural lighting and sunrise, we composed some beautiful pictures that reflect their love and the start of a hope-filled life! Divya’s co-ordinated sari-jewels and make up were captured as a profile for the bride. Being true blue Tamilians, they were next shot in a village-themed set up. Dressed in traditional Pavadai-dhavani and veshti-shirt, they were quite a fun pair with brimming energy! The colour-coordinated outfits in day light made for a very aesthetic setting. 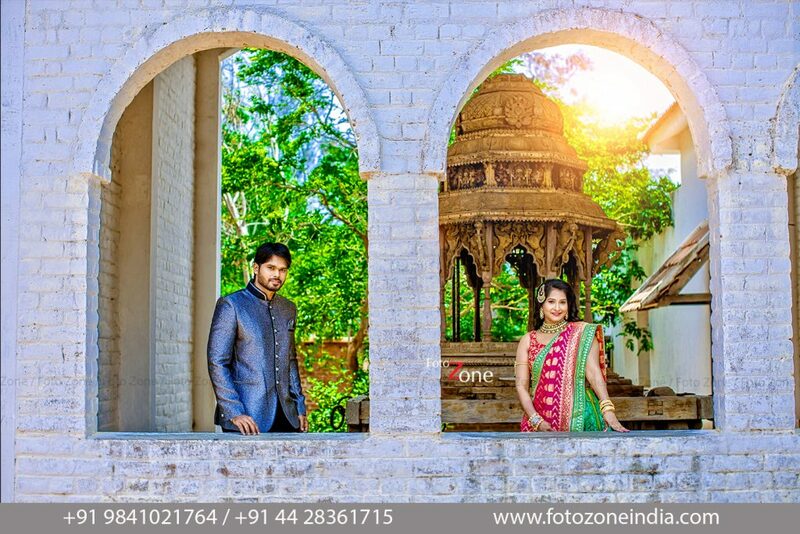 Moving northwards, the couple dressed up in a Lehenga Choli-Sherwani outfit which again was very coordinated to the T. We took some pictures in a fort set up with exposed bricks to lend antiquity to the whole picture. What made our day was the perfect sunlight, archways and beautiful architecture to add to the composition of pictures! 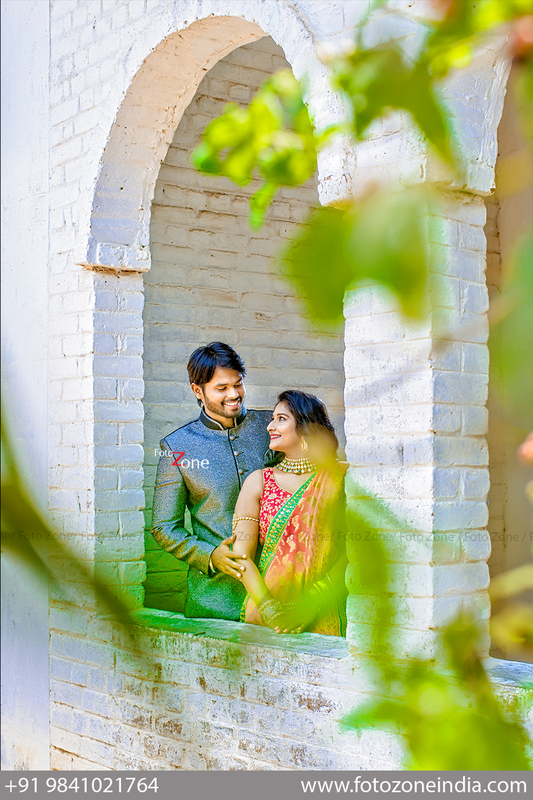 We had good fun working with the couple, their sensitivities and their dynamics. The output to any great shoot is two ways and this assignment just proved the fact for us! We thank Divya and Vivek for trusting Foto Zone to capture their golden memories of pre-wedding photoshoot and candid wedding photography. How To Get The Best Out Of Your Candid Photographer!